← Operation Voyager und das propagandistische Vorgehen der Angeklagten. 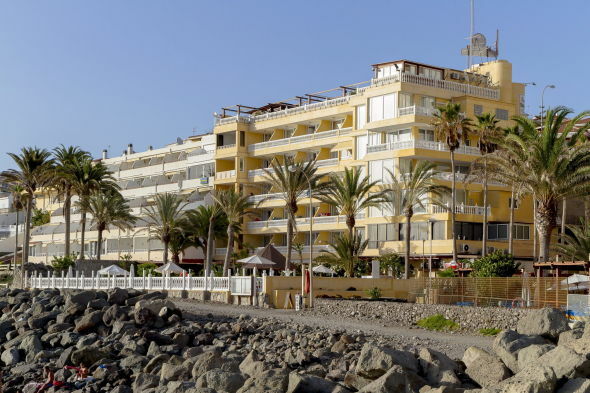 Operation Voyager; the International press informs about the fraud case in Gran Canaria. The European Consumer Centre in Norway received 140 complaints about Voyager Travel. The alleged gang of criminals continues active. As per Norwegian magazine “Dine Penger”, in spite of the police action in July 2013 against Voyager Travel / Lifestyle Holidays and the court hearing which started on the 3rd of February 2014, the activity of these companies is more than ever. As pointed out, the whole set up is now active under a different name; Compass and some of the activities have moved to Maspalomas. Most worrying fact mentioned in this article as well, is that the Norwegian ECC office continues to receive complaints about bogus Holiday Clubs. So far the European Consumer Centre in Norway has received 300 inquiries on holiday clubs, timeshare resale agreements and last year, 140 of them apply to Voyager Travel. The ECC has also received six inquiries on Compass. This entry was posted in Bogus Holiday Clubs, Canary Islands, Warnings and tagged Compass, Day International Marketing, ECC Norway, Eugen Kaiser, European Consumer Centre, Holiday Clubs, Lifestyle Holidays, Operation Voyager, Orbit Management, The European Consumer Centre, Voyager Travel, Voyager Travel & Lifestyle Holidays Group. Bookmark the permalink. 1 Response to Operation Voyager; the International press informs about the fraud case in Gran Canaria. how do you get your money back from voyager as I have lost loads?